Disclosure: My travel, lodging, meals, rental car, and activities were hosted by Oregon Coast Visitors Association and Willamette Valley Visitors Association. 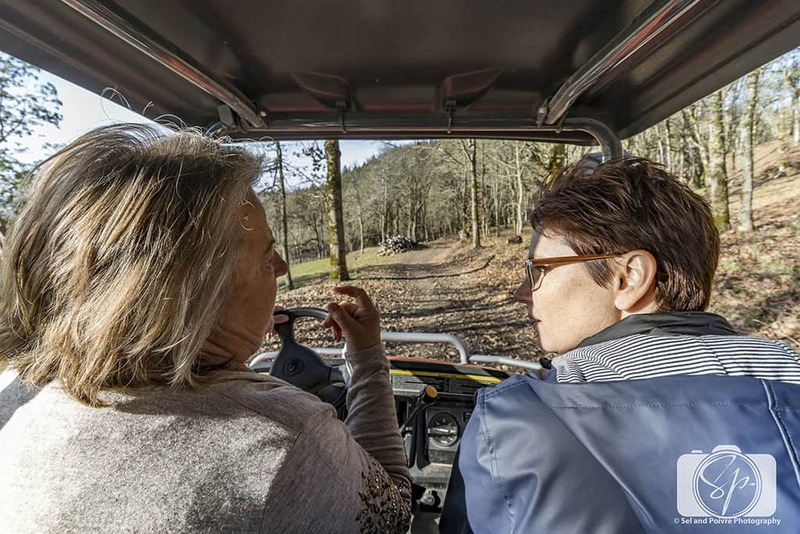 I was also a paid ambassador for Visit USA Parks as part of a film project for the Oregon Coast Visitors Association and Willamette Valley Visitors Association. As ALWAYS all opinions in this story are my own. After 2-and-a-half days road tripping on the Central Coast of Oregon, we turned east and headed for the Willamette Valley. I’ve said it before and I’ll say it again, Willamette Valley has the best Pinot Noir in the world. Coming from someone who lived next to Napa/Sonoma for 20 years and whose other half is a Frenchman, that’s saying a lot. But for all my declarations about this winemaking region having the best, I’d never actually been there, so I leaped at the invitation to visit for a few days. I wanted to taste more of what I consider to be the nectar of the gods! The stunning Willamette Valley is Oregon’s leading wine region and home to two-thirds of the state’s wineries and vineyards. 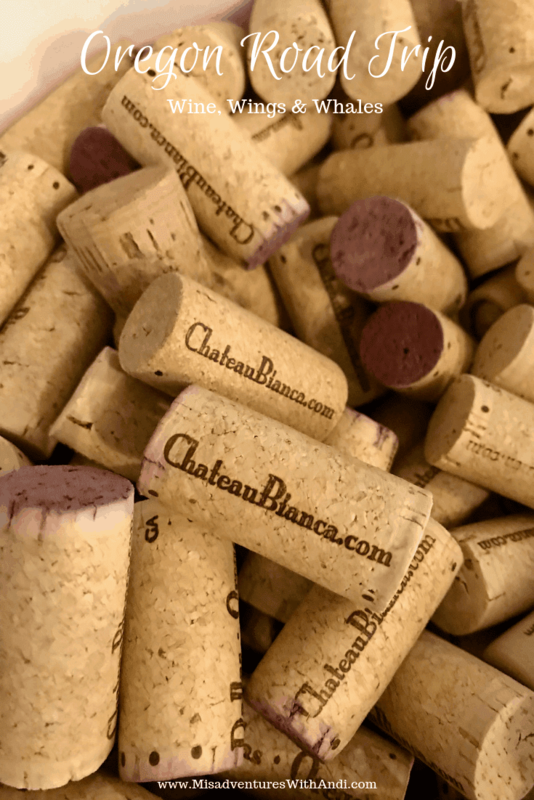 There are more than 500 wineries! They come in all shapes and sizes and are known for their Pinot Noir. You’ll be hard-pressed to find a better region to gain an appreciation for wine. Why? Well because it is very laid back. There is a ton of pomp and circumstance and wine etiquette that you often experience with wine tasting in California (and France! ), which is why I haven’t really enjoyed wine tasting. But in Willamette Valley it doesn’t matter how you taste it, how you hold your glass or where you put your nose – just enjoy it the way you want to! 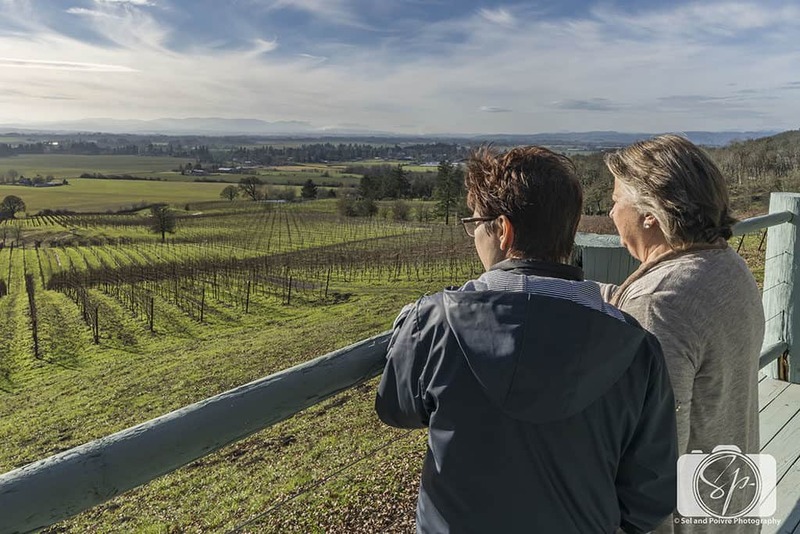 The Willamette Valley provides a wealth of places to stay, restaurants to dine at, and wines to try, all against gorgeous valley views. 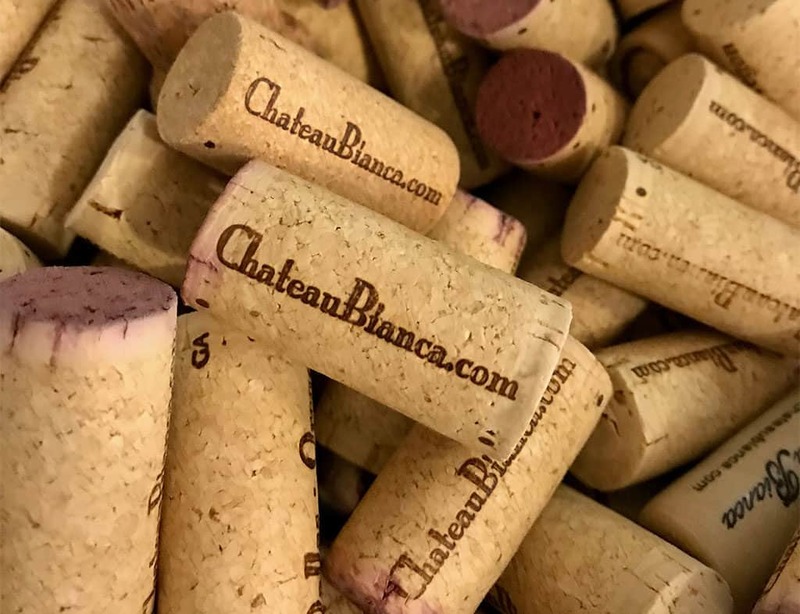 Winter is off-season or “cellar season,” and the wineries aren’t crowded, the winemakers aren’t as stressed and therefore have more time to spend with you and it is a very cozy time to enjoy the fruit of their labor. Its advantageous proximity from the Portland and Eugene airports means that you’re just a short drive away from having the experience of your life, a most intoxicating road trip! 500 wineries and we had 1 day and 2 half-days to explore the area? Our task was daunting! So we focused on the town of Amity, which I think it representative of just how wonderful the entire Willamette Valley is. Amity is a small town of around 1600 people nestled in the Amity Hills. Settlers first inhabited this area in the mid-1800s and it soon came to be known for its prominence in shipping and as a mercantile center in the region well into the 1900s. After about 1970, the Amity area rose in popularity due to its shift from shipping and mercantilism to viticulture and the wine industry. 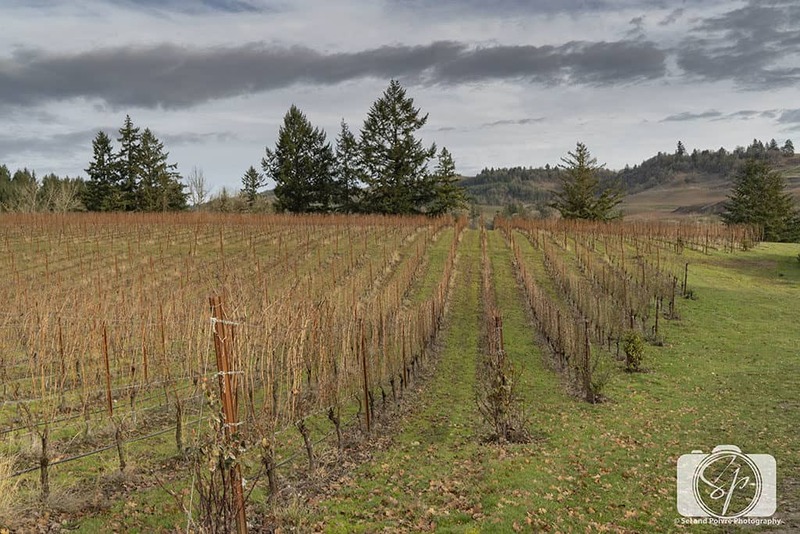 Farmers in Amity planted the first commercial vines in 1971, and over the next 35+ years, the area supported around thirty wineries with almost 1500 acres covered in grape-bearing vines. Amity vineyards first claimed to fame was for its Pinot Noir but they also specialize in Pinot Blanc, White Pinot Noir, and Riesling wines. Beyond wine, Amity hosts an array of festivals and food-related events. Locals and tourists alike enjoy a delicious summer pancake breakfast, and they are a nice stopover when nearby Dundee hosts its annual Oregon Truffle Festival. 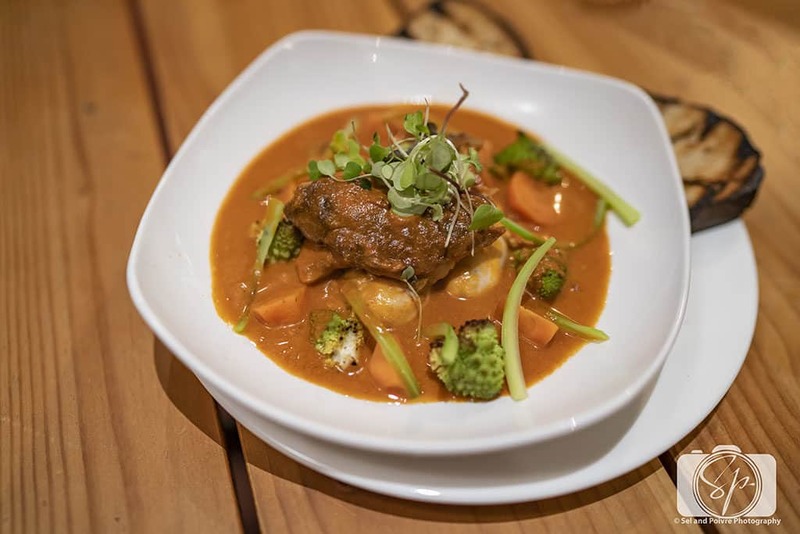 If you are looking for a quiet locale to explore the hills, eat some scrumptious food, drink some choice wines, Amity has what you’re looking for! At other times of the year, you can smell the lively daffodils and partake in fresh blueberries too! And the people! Everyone we met was warm, welcoming and friendly. That is not to say that they are pushovers. These winemakers come from hearty stocky – hardworking pioneers and immigrants who not only survive but thrive. 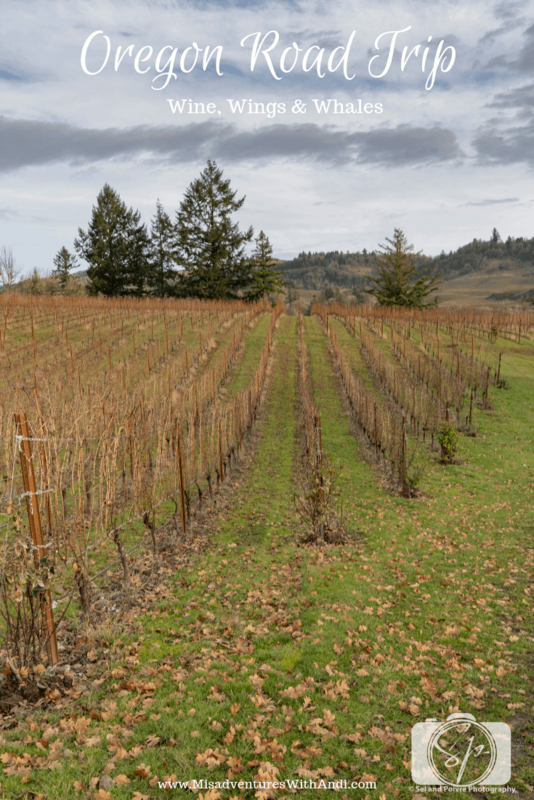 The soil in Willamette Valley is abundant and fertile, it will literally grow anything and the people in this region have been creative in their farm-to-table, seed-to-table, forage-to-table efforts. These are people comfortable in their own skin, so no need to belittle you if you don’t have experience wine tasting, or olive tasting, or anything tasting! They are happy to share their bounty with you and welcome you to their domain and to their table. Our first introduction to Amity was at dinner our third night in Oregon. We had spent the morning on the coast and after hitting a spot or two on the way into the valley, we headed to the Blue Goat. We arrived and were welcomed by Dave Van Domelen. His wife Cassie and he are goat farmers turned restauranteurs. Their goat Brownie is the iconic mascot for this spot in downtown Amity. The restaurant features a wood-burning oven and I tell you magical things come out of that dome. We were treated to a sampling of delights from chef Thomas Ghinazzi which were divine. It was one of the best meals I’ve had in a very long time and I enjoyed every bite of miso custard with chile and ginger emulsion; goat empanadas (an original menu item); steamed goat bao buns, goat tacos (Mr. Misadventures who is not a fan of tacos couldn’t get enough of these); oyster stew with smoked rockfish (pictured above) and wood-fired pizza with roasted tomato sauce and rabbit. I was seriously in food heaven! Thank goodness our hotel room for the evening was just around the corner from the Blue Goat because after eating as much as I did, I just wanted to fall into bed! Of course, once I saw how stunningly gorgeous our room at the Amity Flats was there was no way that was going to happen. Amity Flats is inside a historic building that was constructed in 1905 and originally served as a Masonic Lodge. 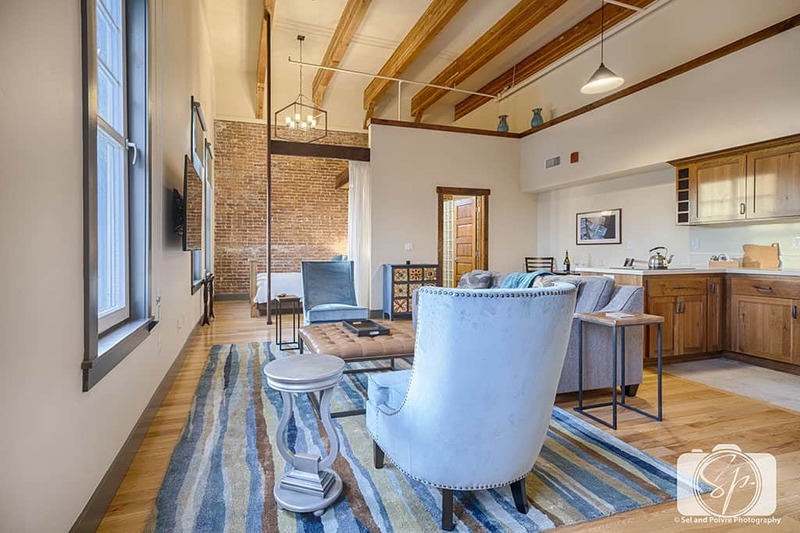 The owners have done an AMAZING job of converting the space into 5 rooms that are incredibly unique. 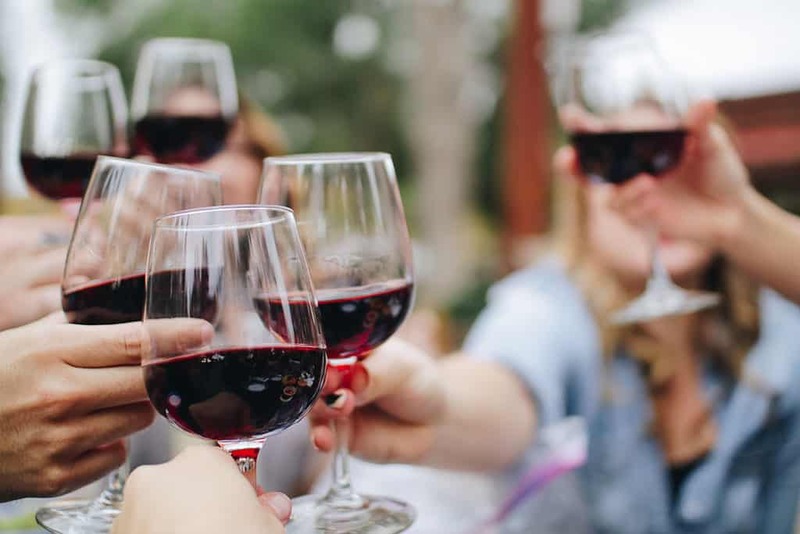 It is a celebration of local artisans and local wine and there are several wine tasting rooms that surround the building, perfect for indulging in some wine tasting without worry about driving. There is a kitchenette in each room and thoughtful touches like a free local bottle of wine and fudge from a local monastery, just the kinds of things that make you feel welcomed. In all my travels throughout the world, this is one of the few places I’ve stayed in that I would just move into immediately! Stick me with a fork I’m done, my new address is Amity Flats. I was sad to leave this room. Luckily I had a fantastic cup of coffee to cry into. And a low carb waffle! The owner of the Common Cup, Jeanne was such a gem! 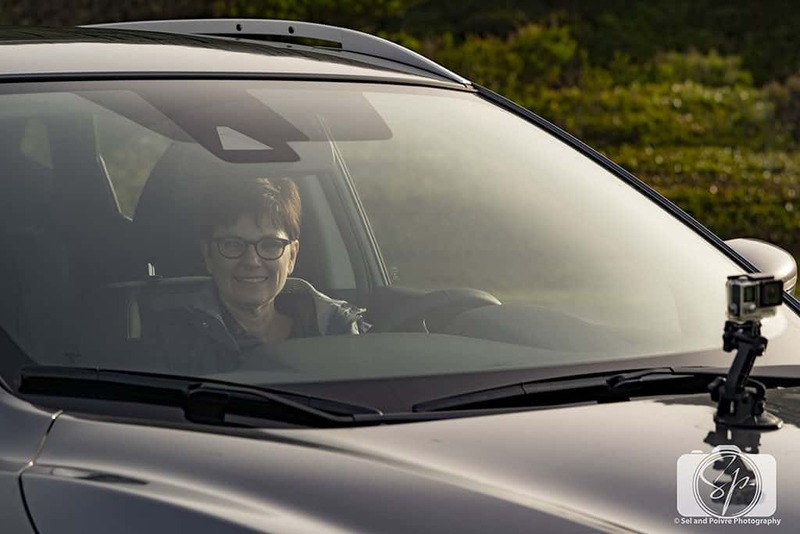 Not only did she have low carb, high protein waffles (don’t worry, she has the full carb stuff too) but she also gave us some recommendations for scenic drives in the area where we could see the rolling hills and vineyards. While we were eating breakfast several people came in for coffee, she called them all by name and knew their orders. I like places like this. Jeanne is part of a big wine family and grew up in Amity, but she left to go to school in the Phoenix area and worked as an architect in San Francisco (she even worked on the project for my ex-employer Dolby!). After that, she spent some time traveling the world before returning home to Amity. I think it is very much reflected in her waffle menu. We briefly left Amity to drive some of the scenic roads in the area and then headed to check out more winter birds! Like William L. Finley National Wildlife Refuge, the Baskett Slough National Wildlife Refuge in Dallas, just outside of Amity, serves as a wintering habitat for dusky Canada geese. 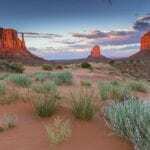 It is also home to an endangered and previously thought extinct species like the Fender’s blue butterfly, the Willamette Daisy, the Streaked Horn Lark, Kincaid’s Lupine, Nelson’s Checkermallow, and Golden Paintbrush. Go wildlife protection, it works! More photographs are taken at this refuge than any other national wildlife refuge and a high-priority is placed on this activity. The refuge offers auto tours for wildlife photography. 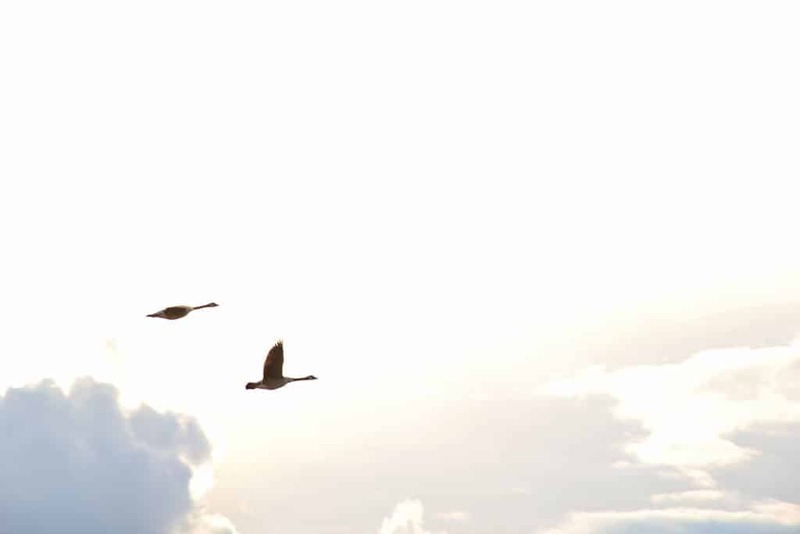 We didn’t see any of the endangered species mentioned above, but we did see a lot of geese, ducks and a redtail hawk. It was a nice stopover before heading to our next stop, Keeler Estate Vineyard back in Amity. Where to start? It took me exactly 30 seconds to fall head over heels in love with Gabriel Keeler, one of the Keeler Estate Vineyard owners. We were instantly under her spell, enchanted by her charm. It was immediately apparent that the 200 acres that make up her property are in her very blood. 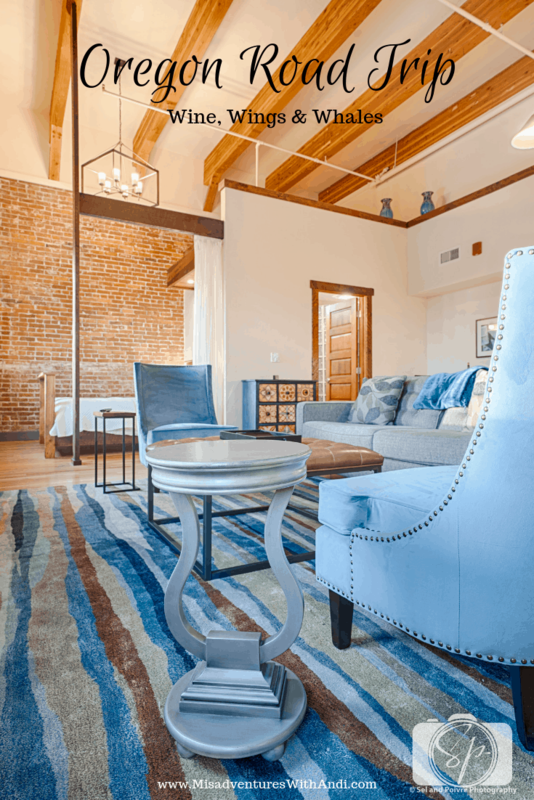 Inside the wine tasting room, she has created a comfortable environment where you can sit down at a table in front of the fireplace and do your tasting. During other seasons she invites you outside under the trees to enjoy her wines. You can relax here. You can replenish your soul. There is no intimidation, no rush. I had the honor of spending a couple of hours at Keeler, Gabriel has a magnetic pull that is really hard to resist. She insisted on showing us around the vineyard and I could not say no. I was fascinated by this woman so dedicated to the land, self-reliance and healthy living. The vineyard is biodynamic so that they do not ruin the earth that bears them fruit. The Keelers actually started out as sheep farmers, but as their children left home, they found that the labor was too much for them so they turned to wine. And like all great farmers I’ve met (like Tom of Greenwell Farms and Jim of Seley Ranch), the Keelers are tinkerers and inventors and innovators, always trying new things to evolve their product, never satisfied with the status quo, and in Gabriel’s case always trying to give thanks to the land. As she drove us around in her ATV she proudly showed us the vineyard and shared anecdotes everywhere we went. I was enthralled by her! You can see that in how they compost; in how they take on rehabilitated animals; in their use of ancient terracotta amphoras that they are experimenting with for their Riesling, along with their concrete eggs; in their recovery of their neighbors vines who took on hard times; in their reservation of 80 acres to try to bring back the Oregon white oak; in their birdhouse project; in their herbs farms and gardens; in their curiosity and even in their reverence to the animals their land has displaced. My visit to Keeler is the epitome of what Willamette Valley wine-making is. Comfortable, approachable and absolutely delightful. And the wine? How could wine coming from any of these lands, gently shaped by the Pacific air moving through the Van Duzer Corridor, labored upon by good hard-working people be bad? Let me tell you. It cannot. We left Keeler feeling not like we had just met them, but rather that we were long lost cousins returning for a visit. I definitely want to revisit Keeler for the sunset dinner they are hosting on their terrace next August, where an invited Astrophysicist from the University of Arizona will be speaking. And having just missed their annual German Christmas Dinner by a week, I want to return in December to experience that! With a bit of sadness, we left Keeler Estate Vineyard and began making our way south towards Eugene. On the road to Eugene, we found the cute town of Albany, which I later learned is called the “Hub of the Valley” because it is kind of in between the major cities of Portland and Eugene. I have to agree that it is an excellent spot to spend some time in. We devoured (all that clean Oregon air makes you hungry) a meal of chicken paprika and beef Porkolt at Novak’s, Oregon’s longest-running family-owned Hungarian restaurant. Then we took coffee at Margin, a shop housed inside an ex-grocery store that was built in 1909. Great coffee from Bespoken roasters in Corvallis. The meal and coffee were our rewards for having just made it to the highlight of historic downtown, the Albany Carousel, before it closed for the day! The story of the Albany Historic Carousel & Museum is incredible. 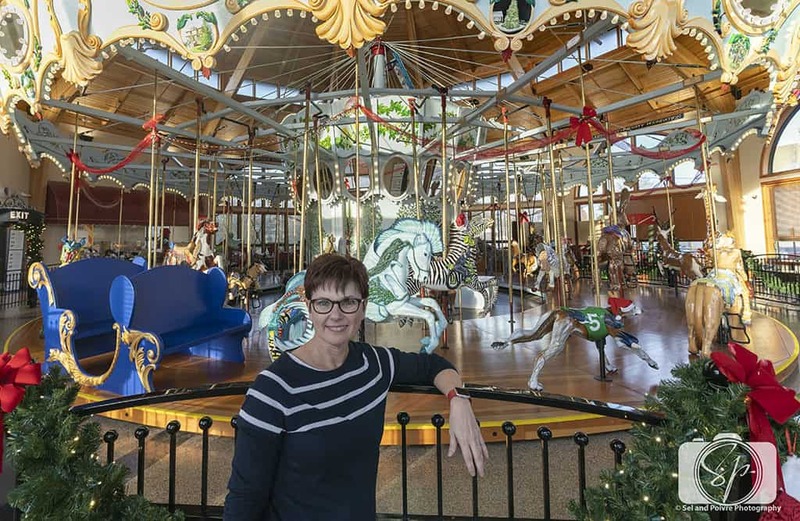 It began in 2002 when the community became interested in creating a hand-carved carousel similar to others completed in Missoula, Montana and Salem, Oregon. The carousel and museum are run solely by volunteers, whether it is the carvers, the painters, the tour guides, everything! To say that the pieces are intricate is not giving them enough credit, each animal takes YEARS to make. I didn’t get to spend enough time at the museum but it didn’t take me long to see the passion that makes this place run. I briefly got to see the carving area, the paint shop, the historical pieces that are on display or being restored. Of course, there is the carousel itself. When completed, the carousel will consist of 52 animals with additional replacement and seasonal animals. This place is absolutely magical and I recommend you spare some time here to check it out. After a long day, we made it to Eugene, Oregon’s second largest city and a wonderful college town full of art, museums, outdoor activities (the natural environment is perfect for recreation), public markets and more. 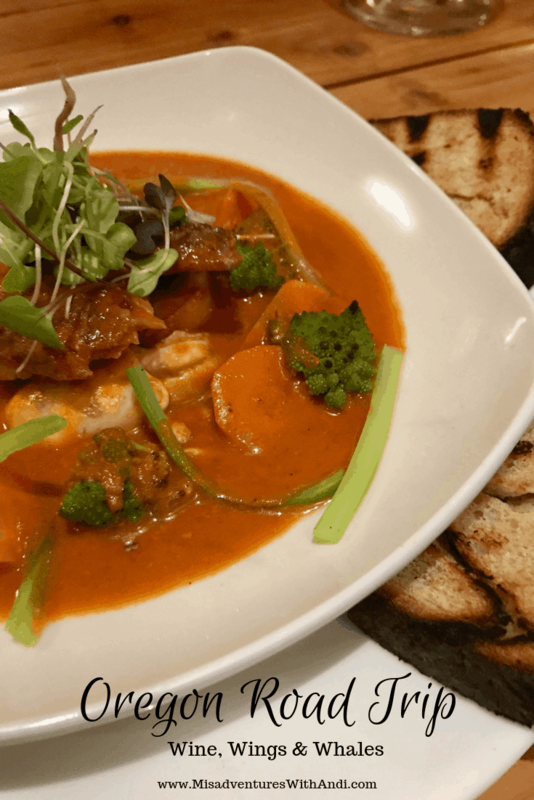 It has quite a good food scene as well with more than 25 breweries and chefs focused on the plethora of local/seasonal ingredients in the surrounding area. Oh yeah, and the wine! During our time in Eugene, we stayed in one of the newest hotels, and first Hyatt property in the city, the Hyatt Place at Oakwood Center. 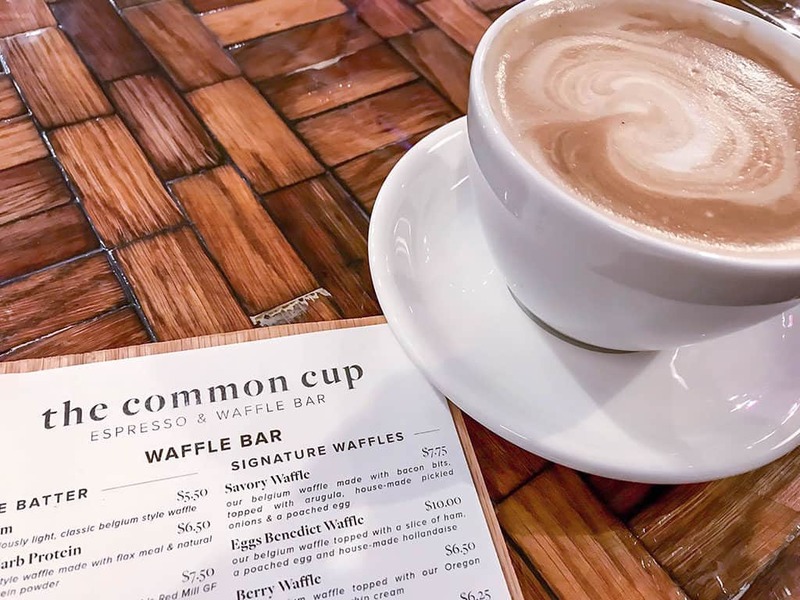 It was lovely, super convenient in terms of location (it is inside a beautiful outdoor shopping area), and they have a gorgeous rooftop bar which is great for watching sunrises and sunsets while enjoying coffee or other libations. You can park your car in the garage and not use it for days if you like! 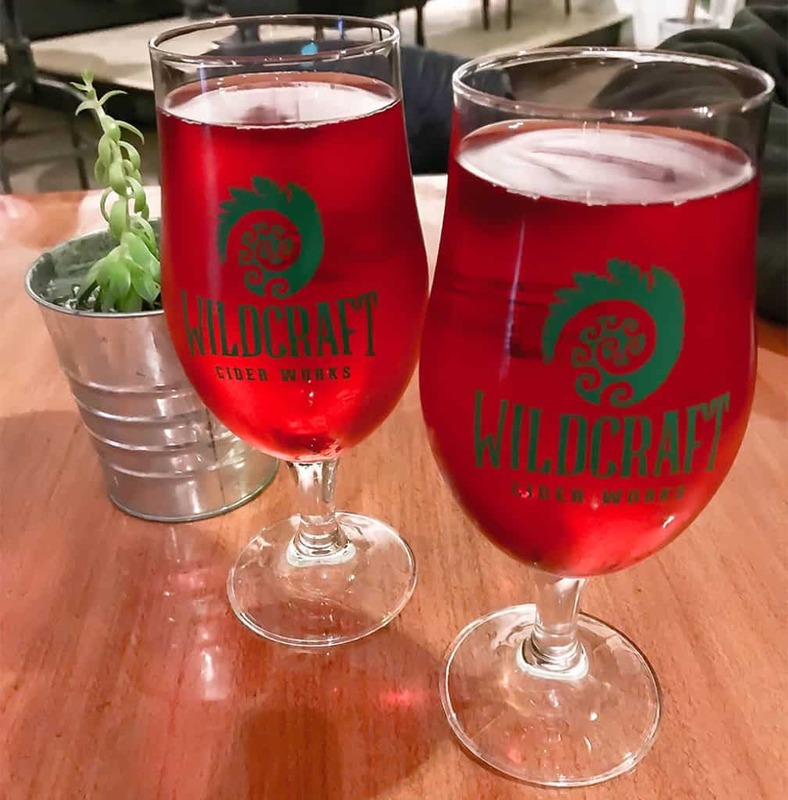 We arrived in Eugene in time to enjoy a Krampus cider (cranberry and sage flavored) at Oregon Wine Lab before their Trivia Pursuit tournament started. We saw people of all ages at this urban winery and tasting lounge located in an up-and-coming industrial neighborhood. The owners pour their own William Rose wine but also wines from smaller, lesser known wineries, a generous method of giving them a presence. As I mentioned before, there are over 500 wineries, so the small guys often need a little more help. The folks at Oregon Wine Lab go out of their way to be good community citizens and you can often find them helping out other wineries. And they have great regional beers and ciders on tap too. They also support local artists, an effort you can see on full display throughout the lounge. Definitely, a cool spot to hang out in. The next morning we had a delightful 2nd breakfast at the Hideaway Bakery. We loaded up on a carb-friendly breakfast at the Hyatt Place, but left a little room for one of my favorite Pacific Northwest treats a berry scone, in this case, marionberry. I have friends that would say English or Scottish scones are the best in the world, but for me, I think the scones in Oregon and Washington are top notch! And worth cheating on my low carb lifestyle with! American kestrel falcon at Cascades Raptor Center. We weren’t done with treats for the day. Our next stop was quite special. Eugene (well Oregon in general) is abundantly green. The city is surrounded by foothills and forests on all sides except the north where the land levels out into the Willamette Valley. 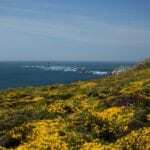 It is fertile land and able to support all kinds of flora and fauna and the animals that go along with it. But as we know, there sometimes isn’t enough space for man and beast. When they meet up, the animals usually lose. That’s why places like the Cascades Raptor Center are so important. This non-profit inside the Eugene city limit is home to one of the largest collections of native raptor species in the Pacific Northwest. The work that is done here by the staff and volunteers is exceptional and you can see it (and donate to help them!) while visiting Eugene. The center offers self-guided tours that allow you to wander through and view the birds and read their stories. The staff spends a lot of time educating the public and works closely with local schools and does extensive community outreach. You can get a guided tour, but it needs to be arranged ahead of time (2 weeks in advance notice is required). And we were lucky to have the opportunity to spend some private time with some very special birds. Kit, Carrie, and Zach introduced us to a Swainson’s hawk named Guapo, and American kestrel falcon named Parker, a golden eagle named Dante, a burrowing owl named Ra, and a turkey vulture named Lethe. Being as close as were was astonishing and the trainers take care to ensure the birds aren’t stressed. It is so important to have these types of interactions so that people build empathy for the plight of these creatures. Golden Eagle at Cascades Raptor Center. 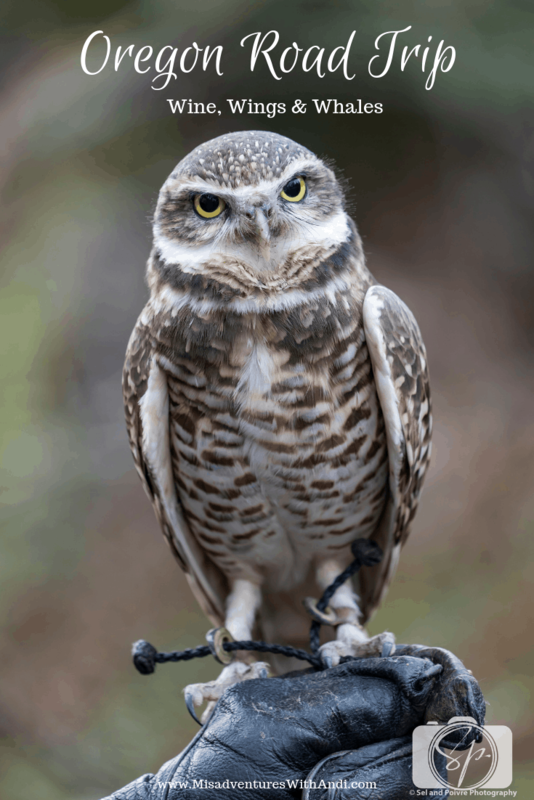 The Cascades Raptor Center offers resident raptor adoption which includes free admission for a year, member decal, discounts, creature history, and adoption certificate. Consider adopting your own raptor, or donating to the center today, they run solely on donations from the public, a 100% community supported organization. 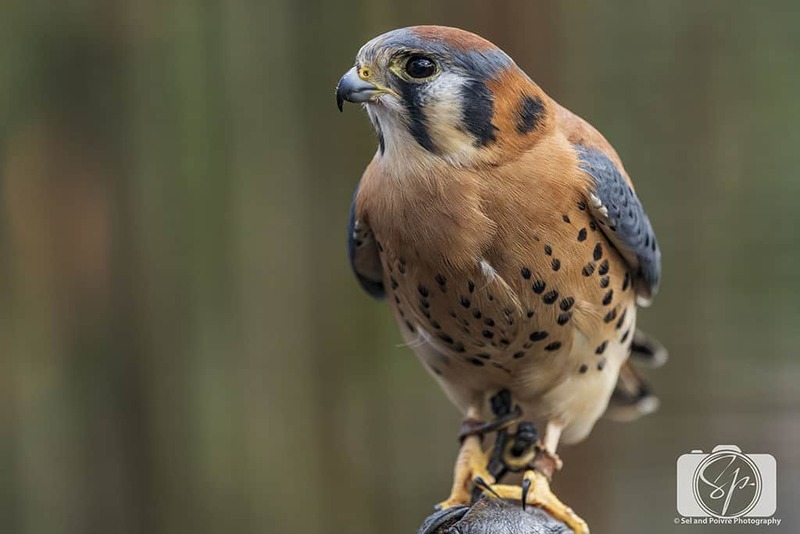 Believe it or not, I saw an American kestrel falcon sitting on a stop sign near our home just a week after our visit to the center and I would not have had the same appreciation of seeing it the wild if it hadn’t been for the center! After leaving the birds we headed to Sweet Cheeks Winery to the north of Eugene for more wine tasting. When we climbed the hills to reach the winery I could not help but remark how it reminded me of Sandeman Estates in Portugal’s Duoro Valley. The winery has a gorgeous tasting room overlooking the rolling hills. 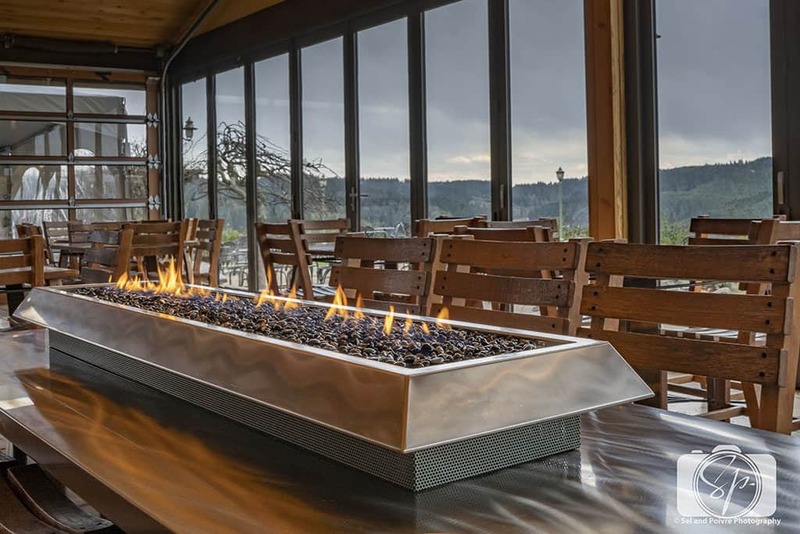 You can enjoy their wines (my favorite was a Pinot Gris) during the winter with ease at their handmade custom fireplace “table.” It was warm and cozy. What is most impressive about Sweet Cheeks is the story of its winemaker, another illustration of the pioneering spirit that exists in Willamette Valley, heck Oregon altogether. The winemaker is self-taught. Yep, that’s right. Self-taught. He started out chopping wood at the winery across the street and worked his way up learning as he went. He also seriously impressed the owner of the yet to be planted Sweet Cheeks. He hired him away when he opened Sweet Cheeks and never regretted it. I can tell you one thing, that is not the kind of story you hear very often in the winemaking business, but it definitely shows the openness and generosity of the people that make up this region. On our way into Amity, we made a quick stop at Chateau Bianca and met with 4th generation winemaker Andreas Wetzel who showed us around his winery. He is doing lots of interesting things to gain efficiency and augment his efforts. Things like solar on the roof to optimize the climate and growing his vines on a vertical upright canopy, a position that places the vines upwards to maximize sun exposure. We discussed the Willamette Valley winemaking region in general, how it is born from a spirit of community, and everyone helps each other out. He says winemaking in Oregon is still young and people have lots to learn, but the small batch aspect of making wine in Oregon allows winemakers to be artisanal in their production. I couldn’t agree with Mr. Wetzel more. I had only had a taste of what the valley has to offer, and I want to experience more! We were unable to make it to the Natural History and Cultural Museum at the University of Oregon, we simply ran out of time, but it is on my list for my next trip! 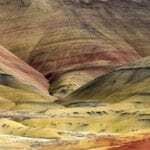 Oregon has very diverse landscapes and ecosystems. A short drive from Point A to Point B and you could be in a whole new universe – it makes road trips exciting! That also means you can experience a whole bunch of different weather – and we did, so be prepared and wear layers! 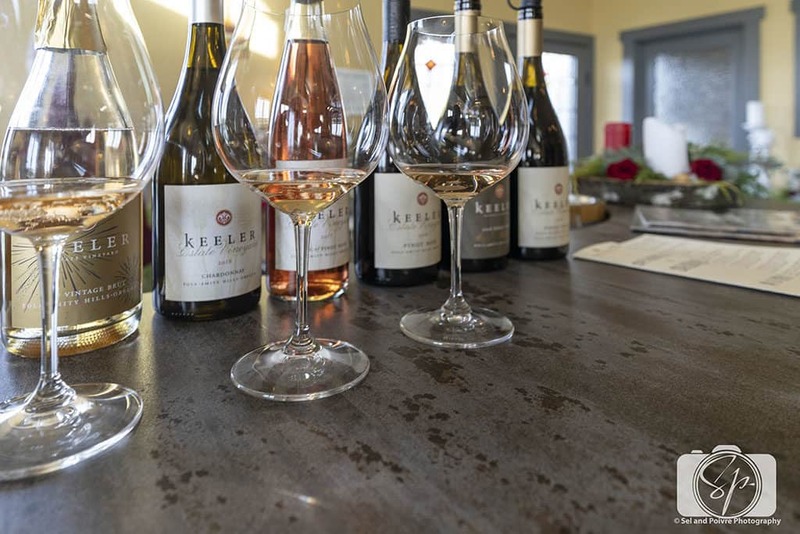 Check the hours for each of the wineries you are visiting, they are all open at different times and even different days of the week (for example, Keeler Estates is closed on Wednesdays). Some have shifting seasonal hours, so it might be good to call ahead of time as you prepare your itinerary. Always have a designated driver! The Willamette Valley wines are delicious and it can be easy to over-indulge. Take turns with your co-travelers and be smart! Phone connectivity in some of the valley is not always a given –create offline maps with your favorite mapping app or pick-up a paper map at your rental car counter. Oregon is 1 of only 2 remaining states where it is illegal to pump your own gas. Just pull in and someone will help you tout suite! If you are an Alaska Airlines Mileage Plan member, you may check up to 1 case of wine for free on any domestic flight from Eugene or Portland (Medford, Redmond and Walla Walla as well). Also, with your Alaska Airlines boarding pass some wineries (see the participating list of wineries here) will offer you free tastings. Something to consider when making your travel plans. We had no time to explore Eugene’s culinary scene, but I can always rely on Eater to have a tasty list to try: 12 Eugene Restaurants Stepping Out of Portland’s Shadow. Eater also has a say when it. comes to: 18 of Willamette Valley’s Best Restaurants. I’d heed the word of Food & Wine any day: Where to Drink and Eat in the Willamette Valley. Wine Folly has a nice Self-Guided Wine Tour of the Willamette Valley. How about you? Have you been to Willamette Valley in Oregon? What were your favorite parts? Or favorite winery? If you haven’t been, what parts would you want to see? Do tell! I really need to visit Oregon again. Portland was nice, but we never got out of the city. Looks like we missed a lot! @Scott, Absolutely, and this area is so close to Portland! You had me at wine, but your entire visit truly looks wonderful. I would be especially interested in exploring the Cascades Raptor Center. @Marcie, Cascades was one of the coolest places I have been to, the people are very passionate! All of this food looks amazing! I have never been to Oregon but it’s on my bucket list. @Alicia, having Oregon on your bucket list is a good choice, you won’t regret it! These are interesting places to visit. The food at the restaurant and that coffee look incredible! @Aditi, it is very interesting, there is something in every corner you turn! This looks like my kind of place! I would love to visit Oregon one day. Although I’m not a wine drinker, I would like to visit Willamette Valley (and more of Oregon in general than I got to do on my first visit). That Raptor Center is of HUGE interest to me. I went to college where our mascot is a golden eagle and we have a real one that can’t be released back into the wild and a Raptor Center (and vet school). So it’s fascinating to me. 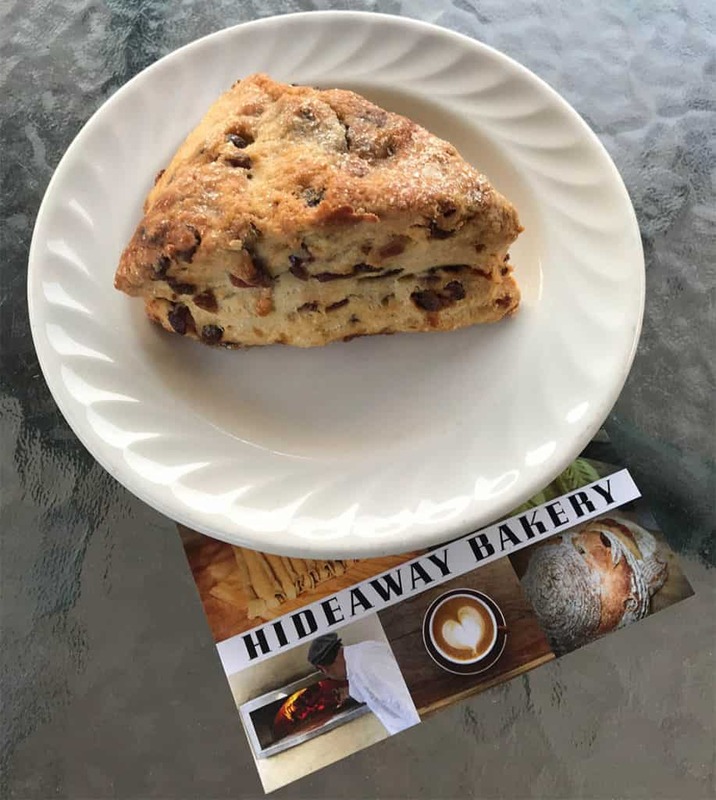 Both Hideaway Bakery and Common Cup would have to happen too! Oh wow, I am really wanting to do a vineyard tour in Willamette Valley and go to the raptor center!! This looks like such an incredible trip. @Leigh, it really was, I highly recommend it! Never realized that Oregon had wine estates. Definitely adding this to my bucket list. @Shantel, and it is truly FANTASTIC wine! 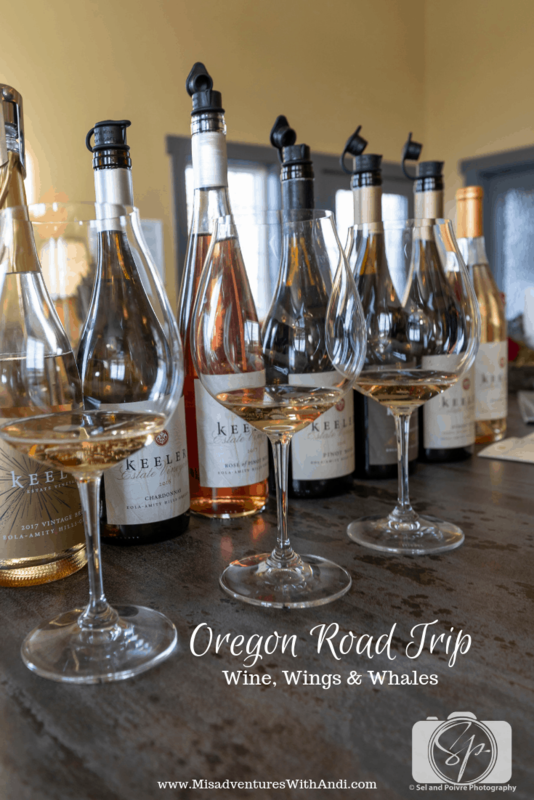 Wow – I didn’t realize there were over 500 wineries in Oregon! That’s crazy. Although I guess I shouldn’t be surprised. When we were in Oregon we went to a lot of cideries, and I guess the two go hand in hand! @Sarah, the ciders are amazeballs as well! I’ve heard “Willamette Valley” so often, but never knew where it was or why it was talked about. Wine!!! I can get behind that! Your pictures and reviews of these estates and all the other places to see in this area of Oregon have made me really think about when I’m going to get out there. I’ve wanted to explore Oregon for years. I don’t know why I haven’t, but I need to remedy that soon! @Juliann, it really is kind of off the radar given how good the wines are, very worth a trip to explore more! Soooo first of all I need those chairs and rugs at the flat! My favorite color is blue, and anywhere that has decor that looks like THAT, I need to go to and get some decoration inspiration. 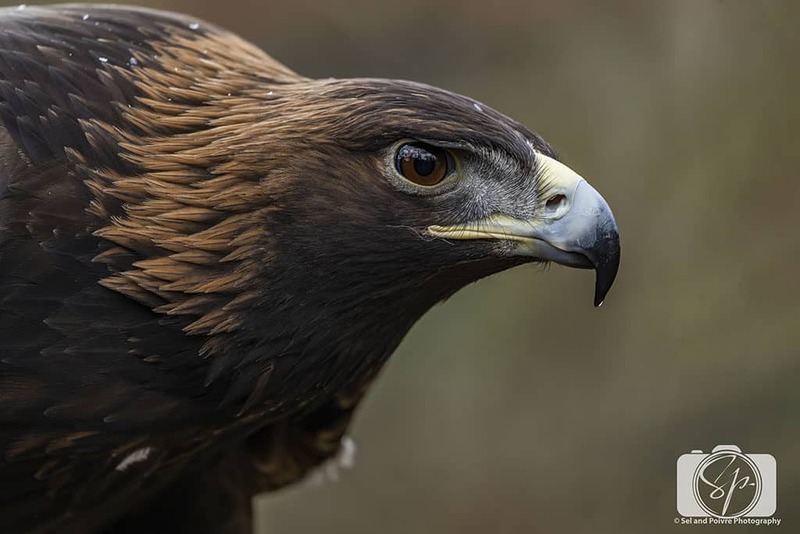 Your photos of those birds was STUNNING, with the water droplet dripping off the Golden Eagle’s beak. The cider in Eugene looks delicious and right up my alley. I sincerely love Oregon and really wish I had more vacation time to explore it’s coast like you!